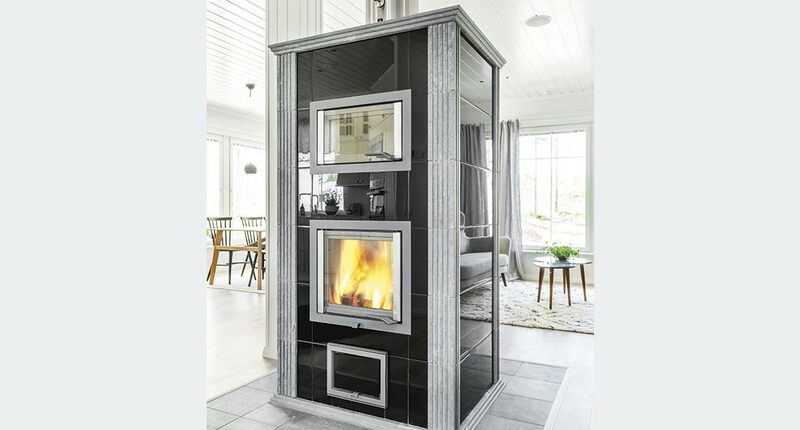 When you want a unique NunnaUuni fireplace, please contact our customisation service. Our customisation experts are able to cater to your most specific needs and preferences and can design and implement hugely impressive fireplaces using multiple materials if necessary. Our customisation team can also modify the exteriors of most predesigned models to suit your specific needs and preferences. Tell us what you want, and our designers will design a fireplace with you to suit your home and your needs. Even with custom-made products, we insist on one thing: That the heart of the fireplace, the fire chamber, is made using heat-storing Mammutti type of soapstone. By doing so, we wish to ensure that the unique fireplace you purchase will continue to provide comfort for multiple generations to come. 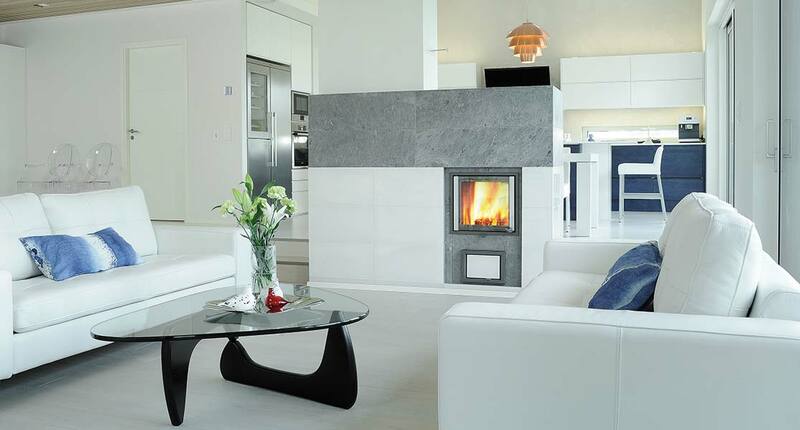 Here you can find some examples of fireplaces we have designed and implemented for different customers. In the seaside home of the Salminen family, which was completed in 2016, NunnaUuni’s Hestia Solo fireplace with a baking space has been customised according to the customer’s wishes as regards its size and appearance. The family selected soapstone corners and white decorative glass for the fireplace. The tunnel model of the Hestia Solo fireplace with a baking space is an excellent space divider creating comfortable atmosphere to both the living room and kitchen. 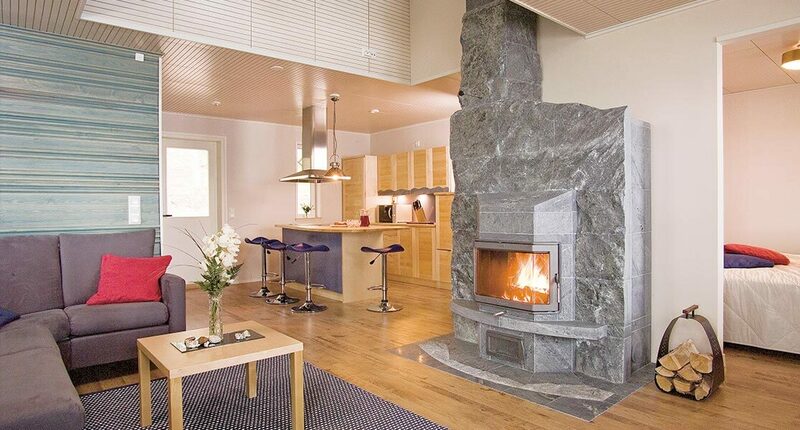 The displayed fireplace is inside the Heikius Hus house built for the Housing Fair Finland that was held in Seinäjoki. This streamlined fireplace is based on a tunnel model of Joya, with its lower part coated with white glass. The fireplace functions as a beautiful room divider in the modern home: the vivid fire can be seen from both the living-room and the kitchen. 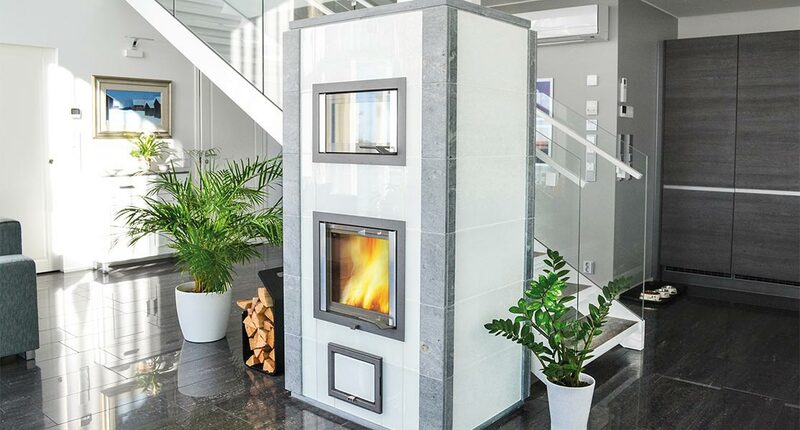 The heat-storing soapstone fireplace releases warmth at an enjoyable output, evenly and for a long time, which makes it suitable for the low-energy house. The fireplace is made of massive rough stone in accordance with the customer’s wishes. The vibrant surface of the stone inspired the owners to name it “Pielisen Aallokko” (The Waves of Lake Pielinen). If you want a unique, custom-made fireplace, please leave a contact request for our expert.